Your yard isn’t only that space where you keep your tool’s shed or where you throw off barbecue parties during the summer – the yard is your personal haven, a place where you go to relax and enjoy yourself. At Condray & Young, we believe that each yard must be built to reflect its owner’s personality. So, whether you’re looking for someone to build you a nice and cozy spot or add a dash of color to the area around your patio, don’t hesitate to give a call. 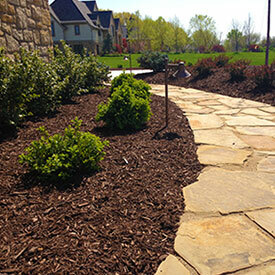 We have professional landscape designers on staff, that can help you to create any space. Our employees are well-trained when it comes to putting aesthetics and functionality in balance. We will not only design a fully functional backyard environment but something that is intriguing and comforting. This is our top package. The designer will walk you through every aspect of the design, the layout of all the areas before job starts , and let you pick out your own plantings. The design is yours to keep after the process is complete, you will be credited back half the cost of design in final invoice once job is complete. This is our top Outdoor Living design package. With this package you will receive a full color computer generated design. The designer will meet with you on site, and help you through the entire process of selecting the proper materials, and layout of a new space. The design is yours to keep after the process is complete, you will be credited back half the cost of design in final invoice once job is complete. Sometimes design does not require so much planning. Our designer has many years of experience and can design a lot of projects on a napkin if needed. With this package you get the initial site visit where our designer will go over all the options for the area. While on site, a design will be developed with your inputs. Once design is agreed upon our designer will create a quote and email it to you. With this package you will not be able to keep the initial design. Once you have agreed to the estimate for the work to be completed and made a down payment for the project our designer will generate a computer design with all the proper measurements. This package does not include reimbursement for design work after job is completed. Depending on the size of your budget, we can recommend a battle plan. But don’t worry too much about spending a fortune on landscape renovations. We are considered some of the best landscape and groundskeeping companies on the market because we do everything in our power to keep our prices low and our quality high. If you have something in mind regarding landscape installation, you can always use the “Free Estimate” tool located on our main page to get an idea of how much such an undertaking will cost you. Better yet, give us a call and set up a meeting! If you like what you see, we will be more than happy to offer you a customized landscaping design and installation services price list to make your dreams come true!